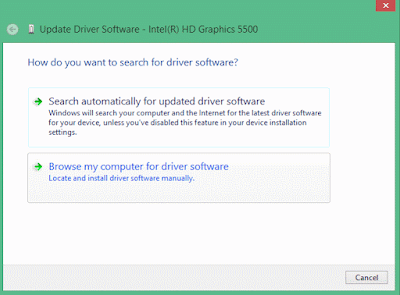 Unable To Change Brightness Level In Windows here in this guide I will show you how to FIX it. Yesterday I was also facing the same problem with my laptop then I got a solution for it and now I am going to share it with you. 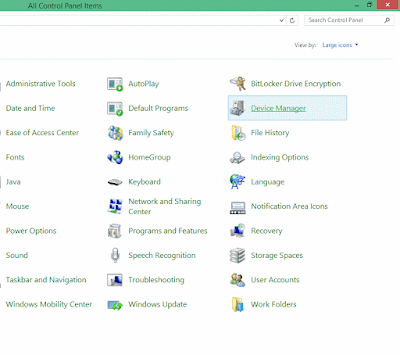 If you are also Unable To Change Brightness Level In Windows then this post will be helpful for you. So follow below simple steps to change your computer brightness level. 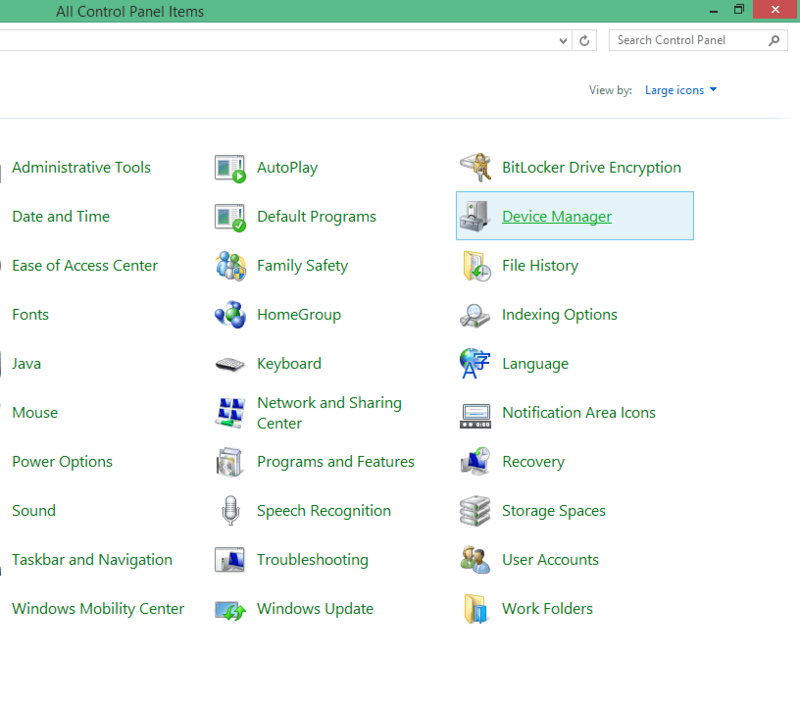 Step 1: First open the Control Panel and now click on Device Manager. Step 2: Now Device Manager dialog box will open then Click on Display adapters. 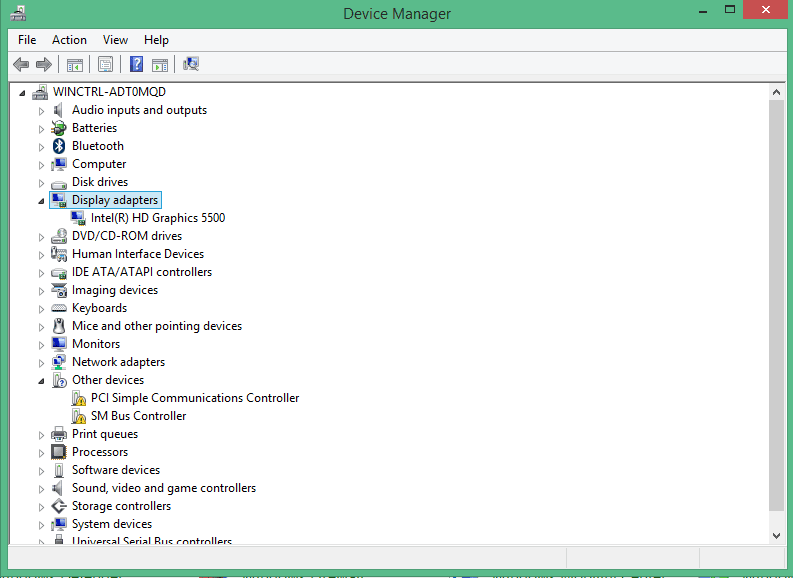 Step 3: After clicking on Display adapter you can see the Graphics Card installed on your computer. 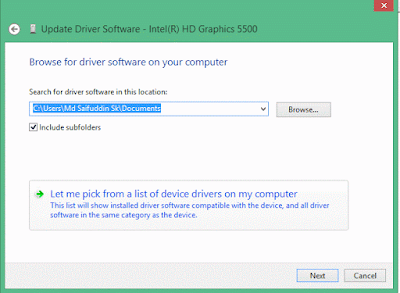 (In my computer It is Intel(R) HD Graphics 5500. 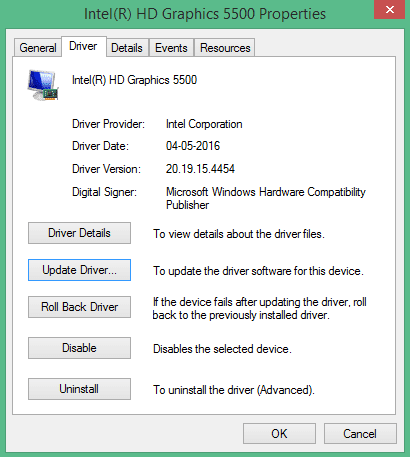 It may vary depending on Graphics Card you have installed). 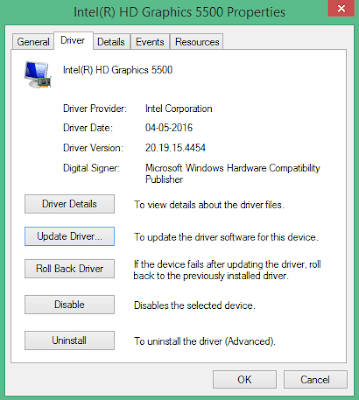 Step 4: Now click on that and navigate to Driver tab and click on Update Driver. Step 5: Now you will get two option but you choose Browse my computer for driver software. 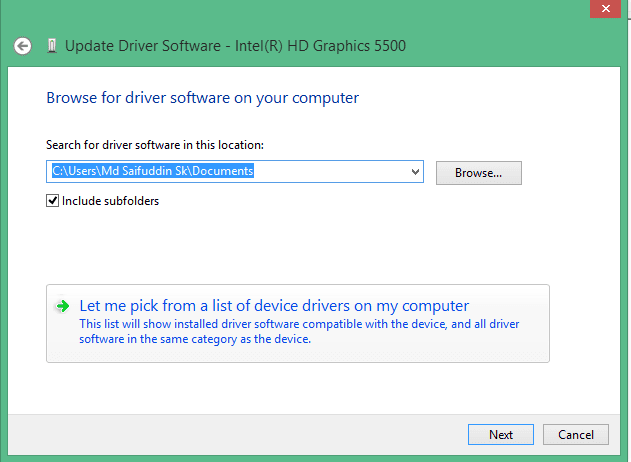 Step 6: We’re almost done, now on the next window click on Let me pick from a list of device drivers on my computer. 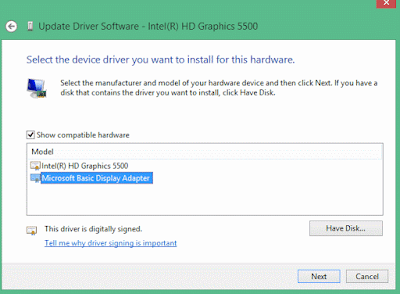 Step 7: Now you will get several drivers depending on your system now choose Microsoft Basic Display Adapter. You may choose Basic Driver if Microsoft Basic Display Adapter does not work for you.But if you choose basic driver you won’t be able to run the OS at the highest resolution or frame rate, but at least you can adjust the brightness. I hope this guide was helpful for you to Fix Brightness adjustment problem. If you liked this post then don't forget to share this post on social. Use our below social sharing buttons to share this post and if you are still facing problem then comment below.